Happy Monday, dear readers! I hope you have had a wonderful start to your week thus far! 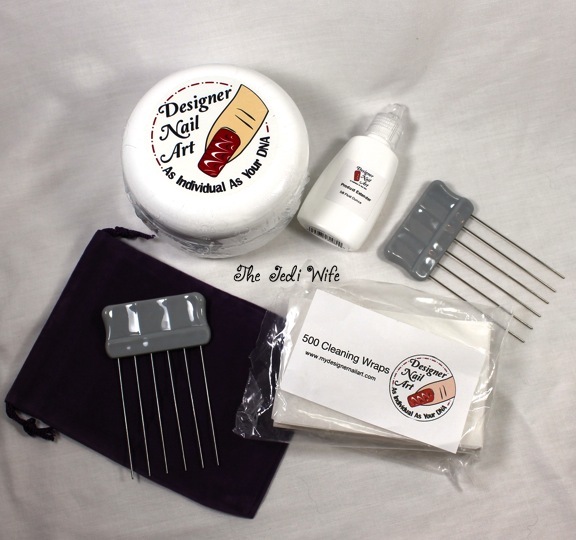 For today's post, I have the Designer Nail Art system from Designer Nail Art to share with you. I was really eager to test out this system because you can get the wavy look of water marbeling and use it to create other designs as well! If you've ever done water marbeling nail art, you know you have to move really fast before the polish dries, and not all polish brands work well for the technique. 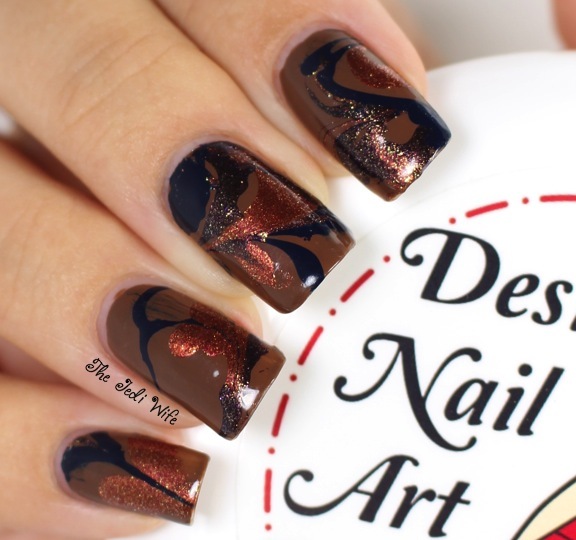 The Designer Nail Art system is great because you don't have to rush through your designs, and you can use any conventional nail polish you wish. Please note it does not work with paints or gels. 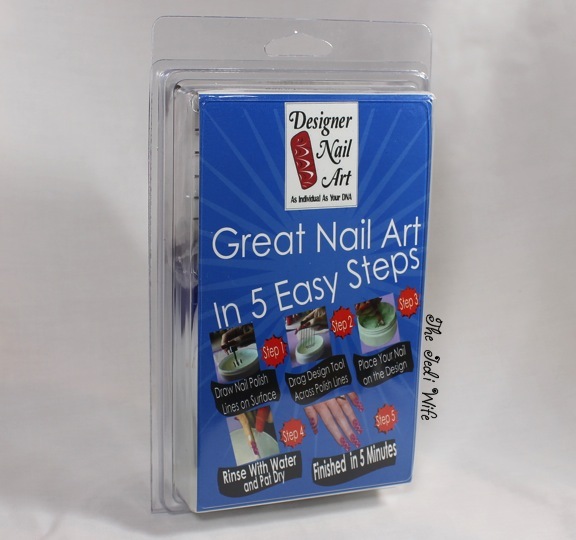 The Designer Nail Art system comes packages in a plastic clamshell. The Designer Nail Art system includes 5.5 oz of Designer Nail Art, 2 design tools, 500 cleaning wraps, velvet drawstring bag for tool storage, and 5/8 oz bottle of product extender. The Designer Nail Art gets thick over time and with exposure to air, and all you need to do is add 2-3 drops of the extender and stir with the design tool to bring it back to the proper consistency. You can make 200+ nails out of a container. The Designer Nail Art contains an anti-fungal and mold inhibitor, and the shelf life of two years. I played around with this system and created a couple different looks to share with you. 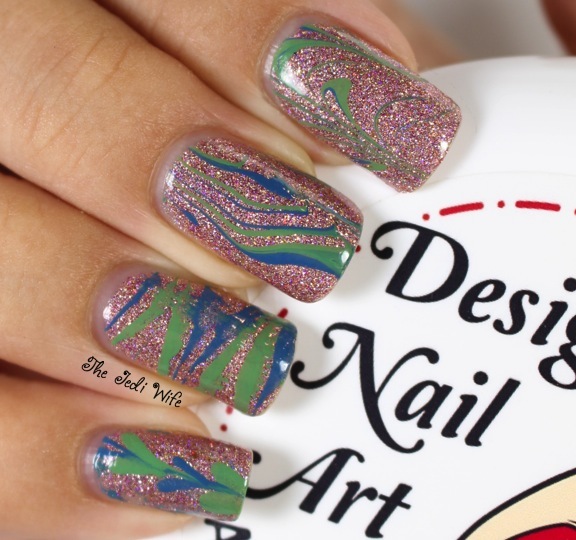 To create these looks, I drew straight lines of polish on top of the Designer Nail Art medium and wiped the brushes off on a paper towel immediately before replacing them into their respective bottles. I left a small space between the lines, approximately 1/16 inches. I then took the design tool, dipped it just below the surface of the medium, and moved it through the polish lines to create the look I wanted. The connecting hearts and flowers were made by manipulating dots on the medium. I held my (pre-painted in a base colour) nails parallel to my pattern and slowly dipped them into the medium. I then rinsed my nails with hot running water, gently patted dry, and added top coat. I them took a cleansing wrap, gently laid it over the remaining polish in the jar, and then slowly slid the wrap with stuck on polish out of the jar. There is definitely a little bit of a learning curve with this, but I felt like I was improving with each attempt. The first key piece of advice I can share is less is more. You don't want to make your lines too thick or wide otherwise it isn't quite dry enough when you go to rinse and pat your nails. You also risk having extra polish turning onto your pattern and ruining it. When it came to the rinsing step, I found it was best to just gently run really warm water over my hands and let gravity pull the water over my nails. Too much water pressure over my nails caused the polish pattern to form holes in the pattern. It's a cool look, but not something I really was going for. Another tip is to have lotion handy for when you are done with your nails. I don't know if it is common or just because I have sensitive skin, but my fingers felt really dry anywhere the Designer Nail Art touched my skin. 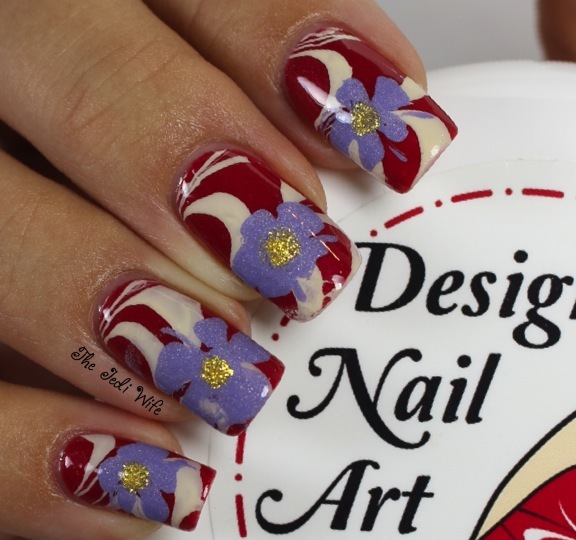 The Designer Nail Art system is a fun tool to create multiple nail art looks. You can pretty easily fit three nails in the jar at a time, so you can very quickly complete your look. Also, after rinsing and dabbing dry, you can layer with multiple dippings, as shown in my last manicure of flowers on top of the wavy lines. It can be a little messy, but it is fast to clean up. The Designer Nail Art System retails for $29.99 plus $9.99 shipping. There is no refill available of the Designer Nail Art medium at this time, but one is expected to be available tentatively within the next month. 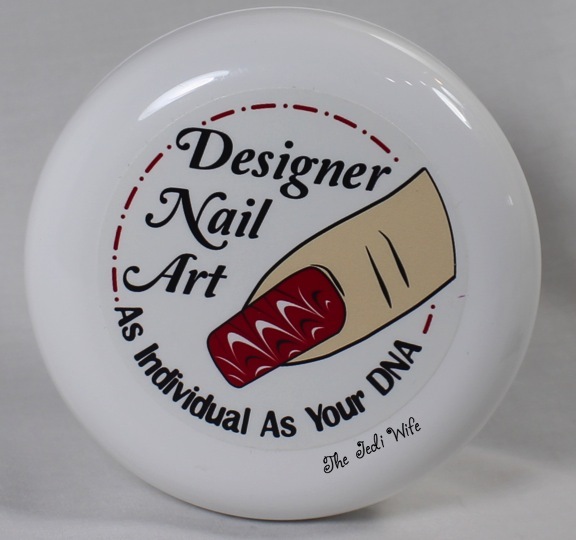 You can order your own Designer Nail Art system here. Have you tried the Designer Nail Art system? What patterns would you want to try? I'd love to hear from you! Disclaimer: The products reviewed above were provided to me for my honest and unbiased opinion. All thoughts stated are entirely my own and are based on my use of said products. I love receiving feedback from my readers, and any comments left here are the express opinions and/or property of the individual commentors and am not responsible for the opinions held by others. I reserve the right to remove any comments that I find to be harmful, unnecessary, or not constructive for other readers. I appreciate the honest review! I know how that learning curve is! i saw a video on facebook about this product not to long ago. i'm not sure if i'd be willing to past with $22.99 to try it myself but I can definitely see the appeal in the product for some people. Interesting product... I especially like the last design with the purple flowers!